Among many other things, Apple’s iPad Pro is a useful tool for artists covering sporting events—a scenario in which real-world art materials can be cumbersome and messy and an iPad Pro and Pencil allow for ambitious creativity in a neater, more portable package. 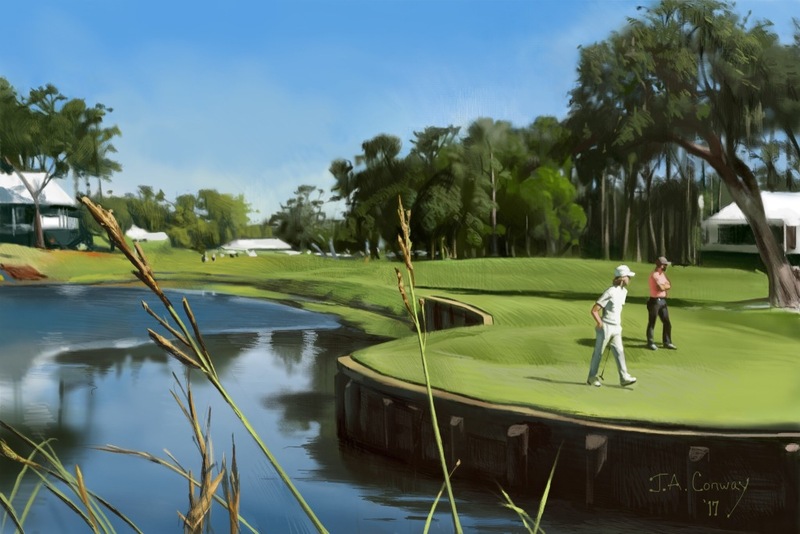 The PGA Tour’s Players championship is currently going on at the TPC Sawgrass course in Ponte Vedra Beach, FL, and four iPad artists are on the scene as part of the official coverage of the event. Apple has shared some of their work.